W­­­hen Higgins first opened in downtown Portland, locals were throwing back cups of Coffee People to the thrashing tune of grunge music. The Blazers were still playing in Memorial Coliseum and Voodoo doughnuts were still a decade away. Much has changed since 1994, but at Higgins, the feel is mostly the same. The service is still informed and familial, while the food continues to be supremely seasonal and reflective of the Pacific Northwest. You can still find Oregon symphony members winding down at the bar post-show, their instrument cases pushed under tables or against the wall. It’s one of startlingly few places left where Old Portland and New Portland seem to get along swimmingly. If you want a burger, Higgins has one of the best in town, and a steal at $16. If you desire fine Euro-inspired fare, you can go with an elegant risotto with Oregon truffles or an Alsatian-style smoked pork loin with Boudin Blanc. The place has always found impeccable balance between white tablecloth-caliber service and cuisine, and a very welcoming, total Oregon-esque demeanor. Executives still enjoy power lunches here and NBA athletes are known patronize the place. It’s also home to curious tourists and devoted locals. There are many, many restaurants in Portland, but Higgins has consistently — and somewhat quietly — excelled. The James Beard Award-winning chef stresses evolution in the kitchen, from celebrating classic dishes to innovating and fine-tuning new ones. He struggles to imagine doing so anywhere else, despite his love for travel. “It’s possible to find regions with comparable ingredients but seldom with the breadth of diversity and seasonal variation we cherish here,” he says. 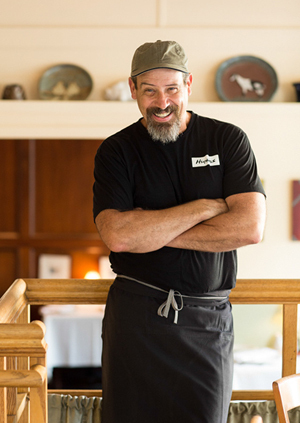 Higgins started cooking in Portland in 1984 at The Heathman Hotel. He opened his namesake ten years later, committing to a farm-to-fork philosophy well before it was trendy. The restaurant gained a reputation for working directly with farmers, foragers, growers and more. The timing is critical. Keep in mind Higgins was operating this way before the Food Network, Michael Pollan and Anthony Bourdain. At the time, Portland was not the foodie paradise it is today; it was better known for steakhouses, NikeTown and Art Alexakis. In the Rose City of today, it’s practically assumed a restaurant be creative, seasonal and locally sourced. 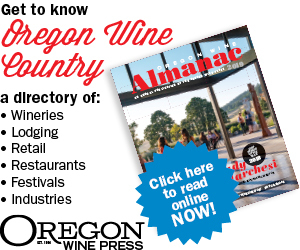 The Oregon wine industry experienced a similar trajectory. While Higgins was making a name for himself in the kitchen, the Willamette Valley was doing the same with its first generation of producers. The local food and wine realms ultimately exploded and Higgins — much like The Eyrie Vineyards or David Adelsheim — kept doing his thing, reminding us of the vision it takes to help launch an entire industry with every dish. But saturation brings new challenges. Now, new restaurants open and close like clockwork in this town. And working with a wine scene of several hundred players compared to a few dozen is also a different game altogether. “It’s exciting to taste and work with all of the different varietals and styles, but, at the same time, it’s a challenge to take it all in,” Higgins admits. While the list is certainly long, some dishes over the years especially stand out to Higgins. Classics like cassoulet of Ayers Creek Tarbesque beans with pork and duck confit, and Toulouse sausage; and grilled Chinook salmon in a ginger dashi broth with early vegetables come to mind. Of course, given the seasonality that’s helped define his place, the former happens in December while the latter, in spring while the salmon run. Many of my own favorite meals have slowly unfolded at Higgins’ bar. The rich, flavorful pork plate, showcasing four or five different riffs on pig. The many soothing seafood stews. Pasta and olive oil so good that it was always the most efficient way to transport back to Italy. The charcuterie. The honey-and-chile roasted hazelnuts. That burger. Staff stay for decades and remember you when you return. The wine program has been equally strong and reliable. Andy Zalman has commanded the list since 1996. 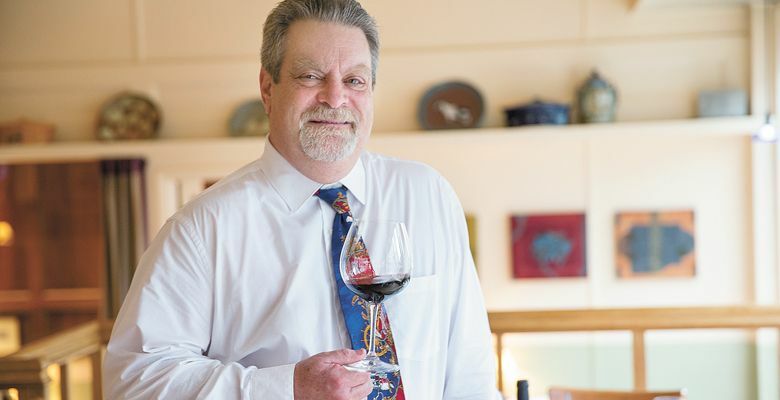 He was named Wine Director of the Year in 2017 by the Oregon Wine A-List Awards. Like Higgins, Zalman grew up in New York and worked a few other Portland restaurants — Jake’s, Veritable Quandary, The Heathman — before his permanent home. It’s easy to see how the two have worked together for so long. The wine list perfectly complements the menu. From glass pours of Old World Arneis to powerhouse bottles of Oregon Pinot Noir, and Montrachet to Aussie Grenache, it’s a healthy mix of quintessential and new discoveries. 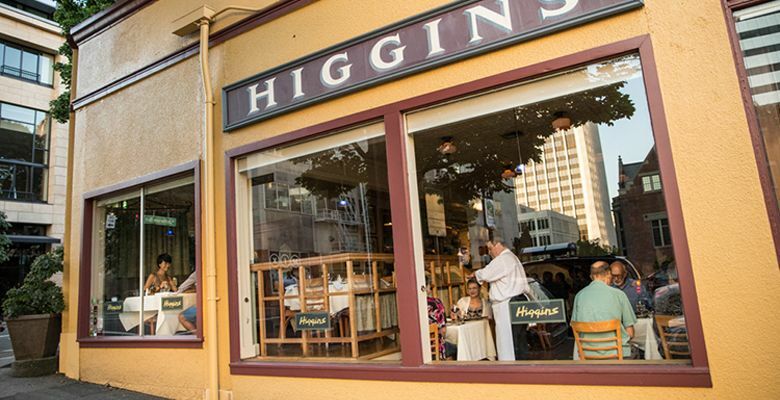 It’s no wonder Higgins is so revered within the Northwest culinary community. He even has a beer named after him that’s often on tap at his restaurant, brewed by Hair of the Dog. Many of the city’s brightest chefs have worked under or collaborated with the Higgins team before setting out on their own.